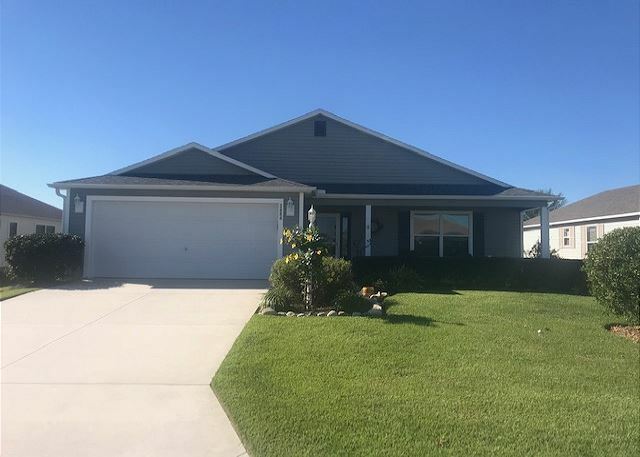 The Villages, Florida United States - 3 BEDROOM COTTAGE THE VILLAGES FL 1 HOUR FROM DISNEY/ORLANDO | RE/MAX PREMIER REALTY Inc.
Cottage style home, tastefully decorated ready for you to book. Don't pass this one up. Open floor plan, comfortable seating in the living area with large flat screen tv. Eat in bar in the kitchen with plenty of cabinet space and bar stools. Flat screen tv on the lanai. Plenty of space for entertaining and enjoying our famous lifestyle. CALL and book today. A guest from Syracuse, New York United States recommends this vacation rental. We found it easy to take care of paperwork and handling all of our requirements online. We had made our decision early in January and was very pleased we located a property to rent.